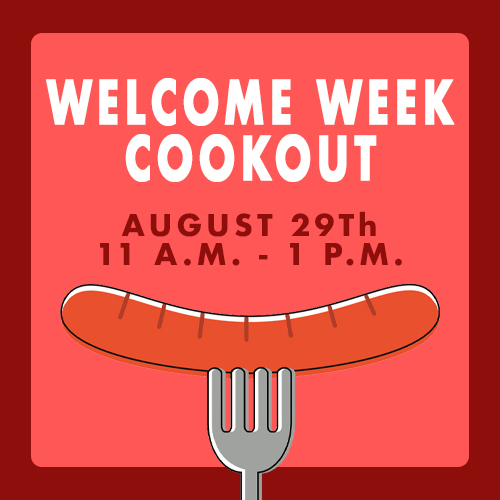 Join the H-E-B School of Business & Administration for a Welcome Week Cookout in front of the Gorman Building! All students and faculty are welcome to attend. There will be free hot dogs, chips, drinks and cookies served from 11 a.m. - 1 p.m. The first 75 students to check in will get a free HEBSBA T-Shirt. For more information, contact hebsba@uiwtx.edu.